is playing a major role in monitoring the system. Here I will discuss how we can monitor the fields . We already known that there are vast number of Watershed Management Projects going on in different countries. Everyday thousands of structures in fields been constructed , without creating a physical database though we make use of MIS(Management Information System) system but then also an accurate status cannot be determined . 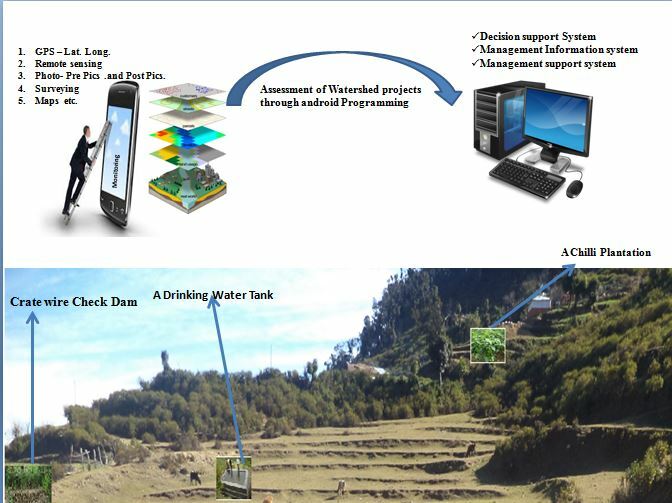 An android technology is like a dream come true……like while sitting in an office your BOSS can monitor the field in which you are constructing any structure for ex -A Drinking Water Tank , Drainage Channel etc. and off course the status of plantation.